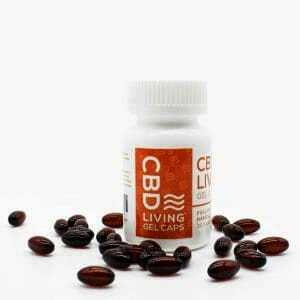 Natural CBD Living offers a vast array of products to meet different preferences and lifestyles. From CBD-infused water to capsules, soaps, bath bombs, patches, gummies and more. Natural CBD Living brings sophistication and scientific rigor to the CBD extraction process, using our nanotechnology to deliver maximum benefit to the consumer. Extractors and manufacturers are paid a fair wage above market rates. Our products are all fair trade, embracing our global values to advance employment and labor practices through the hemp CBD industry. Our products are never tested on animals. CBD Gummies are a convenient, delicious way to enjoy your daily dose of CBD. Each gummy is infused with 10mg of Nano-CBD (300mg Per Bottle) for maximum bioavailability. One bottle contains 30 gummies of various natural flavors including Cherry, Lime, Pineapple, Orange and Lemon. CBD Living Gummies are a great product for people who are on the go! Each gummy contains 10mg of CBD, so there is no guesswork when dosing. A tincture is an extract from plant or animal sources which is infused with oil. It is also made with low volatility substance such as iodine and mercurochrome. CBD tinctures are made when CBD is extracted from the organic hemp plant using CO2 extraction methods. The CBD is then infused with MCT oil to create the final product. Tinctures can be added into drink or food, or taken directly by mouth. Tinctures are a great foray into the world of CBD, as you can start with small doses and increase as required. CBD Gel Capsules are capsules made up of 100% pure plant-based ingredients. They contain a full spectrum of CBD, terpenes, and flavonoids mixed with natural hemp, which is rich in vitamins, minerals, and fiber. CBD capsules are non-psychoactive which means it won’t make you feel any kind of Dizziness or “High”. These capsules are great for overall health and wellness. CBD Capsules are cruelty-free, gluten-free, non-GMO and contain no animal gelatin, therefore they are vegan-friendly. You can Also Buy CBD Capsules for Pets. CBD Living Freeze is a gel infused with full-spectrum CBD that can be applied locally to inflamed or painful muscles. Due to the use of nano-CBD technology, the CBD topical is quickly absorbed through the skin. CBD Living Freeze is hypoallergenic and 100% safe for external use. 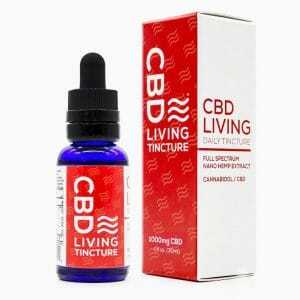 CBD Living Freeze contains 99.5% pure CBD (cannabidiol) extracted from organic hemp. The CBD in CBD Living Freeze is a non-psychoactive cannabidiol and will not produce any sensations of being “high.” CBD Living Freeze is a topical gel that acts locally where it is applied to reduce pain and inflammation. It is a great addition to first aid kits and any gym bag. CBD Living Freeze absorbs quickly and leaves no residue behind. 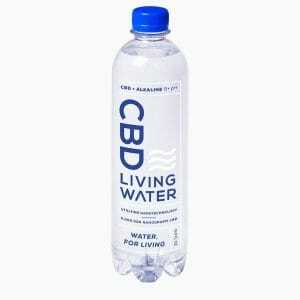 CBD Living Water is made with 100% organic and natural hemp CBD extracts using cutting-edge nanotechnology to infuse natural CBD extract in approximately 9+pH water. Stay hydrated and get your daily CBD all in one! CBD Living Water is great for people on the go. It offers a convenient, hydrating way to get your daily CBD with guess-free dosing. Each 500 ml bottle of water contains 5 million nano-grams of nano-CBD and is highly bioavailable and absorbable. Take a bottle of CBD Living Water with you to the gym or your favorite yoga class and experience the pain and inflammation reducing properties of CBD.